It's been a significant few weeks for car recalls, with the Driver and Vehicle Standards Agency (DVSA) issuing national alerts for more than 225,000 vehicles. 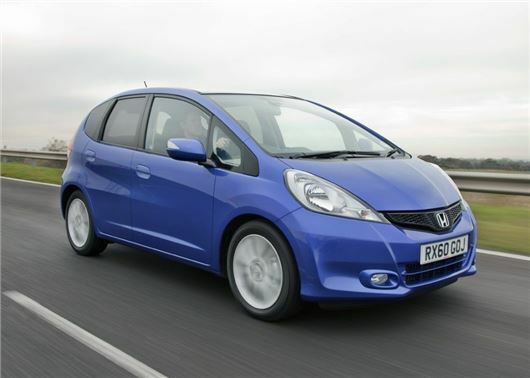 The recalls affect some of Britain's favourite cars and includes the BMW 3 Series, Honda Jazz and Vauxhall Corsa. Volkswagen is also recalling 3800 cars over a seat belt and airbag problem, while Citroen, Honda, BMW and Vauxhall are issuing national alerts over airbag faults. There are also some significant issues with Porsche and Maserati, with the later recalling the Ghibli and Quattroporte over a fuel leak. The 911 is also subject to a national recall, because the windscreen may have been fitted with insufficient bonding product. As a result there is a possibility that the windscreen could detach from the vehicle in the event of an accident. We've been building cars for over 100 years, isn't it ime that we got them right? Is it because the older designers/engineers retire and the new University trained ones coming in haven't a clue? So instead they "do it their way". It will be a result of the accountants and not the engineers Sir Lancelot. Bit prejudiced to think these new engineers do not have a clue? especially if you are driving a car one of them may have designed. It's not like that at all. First choose your manufacturer, then the model of car and then find out where it is made. This will surprise you. Cars are assembled in the place where labour costs are lowest using components from all over the world. These are pre-assembled into sub units by the supplier and delivered to the production line ready to fit by unskilled labour, or even in some cases by the component manufacturer themselves. Once a prototype of a new model is signed off for production, the buying department starts looking for cost savings by buying cheaper components on world markets. Although quality controls are strict in principle, in reality volume targets must be met, sometimes at the expense of quality. Popular notions of how cars are made by time-served artisan craftsmen are fanciful unless you're in the market for a Morgan. Engineers play ever diminishing roles these days and in many cases answer to the marketing dept. who in turn answer to accountants. Advertising creates brand attributes which are rarely borne out by user experience. If in any doubt just read the letters to Honest John...! Your're assuming the problems are all economic. It may also be engineering or quality control based. I think it might be best if we made the components in countries where the manufacturer could monitor quality better. With regard to education, I know an Engineering job agency took more notice of older degrees and HND's, so I have to agree to the education comment. The Far East make better value cars now, and will continue to leap ahead of Europe. Their countries are better managed. We've had decades of Labour trying to destroy manufacturing. How can we compete when we have this attrition going on in the backgraound? Also, a general school education helps give a good foundation to further technical education, and we don't stand much of a chance when we rank 27th in world standards for Maths, for example. Our kids are brainwashed how to be good little Socialists. Unusually for HJ, this is missing the main culprit which is the Takata shrapnel-firing airbags. Nothing to do with the car manufacturers. I think its partly true for both sets of comments - in my 17 years experience as an engineer (I've worked in Building Services Engineering, part of the Construction Industry), I've noticed the quality of graduates slowly diminishing, and it appears to be reflected across all engineering, and additionally far greater pressures on employees to get work done more quickly and cheaply, even during hard economic times when investment was significantly lower. A too greater reliance by students (including at school) and young engineers on calculators and computer programs and not enough on being able to do both sums in your head or on paper by hand (or manually adding in data on a spreadsheet instead of letting a proprietory software package do all the work), which gives them experience in knowing what the result SHOULD be using the software packages - too often, they rush to get this 'boring stuff' done and make a mistake - perhaps missing out one item in the data entry or a decimal place/incorrect number. This, of course, can make a HUGE difference in the result, but because they've never learned what to expect the answer to (approximately) be, they don't spot the error or where that might eminate from - 'the computer's always right' - No - 'rubbish in, rubbish out'. I learned to do manual calcs and did them often enough as a young engineer to know roughly what the software would spit out. This is partly the fault of the people themselves, but also of the colleges, who want to turn out as many students as possible to earn extra fee income. What doesn't help nowadays is that the aforementioned squeeze on time and resources means that checking of work, both by the originator and a more senior/well qualified colleague has been SIGNIFICANTLY reduced - most check their own work, if at all as a result. You have the option of working yourself into an early grave/having no life outside of the office by doing ridiculously long hours to get the job done, cutting corners to go home on time (both of which deliver poor quality work for different reasons), or, as I did in the last few years, work late sometimes, but deliver projects late (getting a b***cking as a result) but high quality. When you DO need more help (personnel, better PCs/software), its not provided. Again, with the above, less experienced engineers are being forced into doing the work that more expereinced colleagues USED to do because of pressures on costs - at more than one firm I've worked at, inexperienced engineers have been 'promoted' (in name only, not salary) quickly to 'senior engineer' level (middle ranking engineer) after 2-4 years following graduation so the MD can tout them on projects to pretend they have sufficiently qualified staff to do the work. I've had to be drafted in to 'fix' projects that have gone belly-up because of mistakes made as a result of this and time pressures, in the end, costing the firm far more to put things right, but the big egos of the bosses would never admit this is a major inherrant problem. For the last 5+ years, that's all I've been mainly doing - fire-fighting problem projects and trying not to get sacked for delivering work late because I'm not prepared to ruin my health wotking all hours. The aforementioned economic hard times and squeeze on costs has also highlighted many other managerial problems, such as bad 'man management' (most managers in engineering firms have no qualifications to manage nor the skills/temperament - just promoted because of the engineering skills/experience/years at the firm/nepotism/politicking), poor organisation of resources (people, hardware/software and data) and an unwillingness to try new things, listen to staff or to stand up to shoddy practices or bad behaviour, by both other managers, staff AND clients/other firms. Clients must also take some share of the blame (as should the professional bodies suppsedly representing engineers, who IMO don't really look out for our interests and stand up to bad practice, bad clients and lobby governments/others hard enough) as they've forced down prices but expect work to be done quicker but at the same quality, even after the recession ended, all the while they charge more for their services. In my industry, fees are the same or lower than 2008. The only way to get a pay rise is to move jobs, which then puts yet more pressure on costs (a viscious circle). The above are some of the reasons I just quit both my job and the industry. I suspect many other engineers, not just in my industry, but in automotive and others are feeling the same to a greater or lesser degree. Remember, what happened at VAG with 'dieselgate' came out of severe pressure from the top to cut costs, more than (it appears) could be reasonably done just by inventive new ideas and techniques. I personally feel that many cars (same in other manufacturing industries [e.g. mobile phones, PC hardwarre/software) are rolled out BEFORE all the systems are checked enough to find problems, especially the electronics and computer-based systems/software, as so many are complex nowadays. The Japanese and Korean makes are far more conservative at bringing new tech to market than the European makes, but they still have had problems, partly caused by the financial pressures (often to stay competitive with Euro and US makes) and by poor management (Oriental firms [to me, at least] like a good old cover up, with lots of bows and profusely saying sorry once they are caught, e.g. the airbag firm). It's not like that at all. First choose your manufacturer, then the model of car and then find out where it is made. This will surprise you. Cars are assembled in the place where labour costs are lowest using components from all over the world. These are pre-assembled into sub units by the supplier and delivered to the production line ready to fit by unskilled labour, or even in some cases by the component manufacturer themselves. Once a prototype of a new model is signed off for production, the buying department starts looking for cost savings by buying cheaper components on world markets. Although quality controls are strict in principle, in reality volume targets must be met, sometimes at the expense of quality. Popular notions of how cars are made by time-served artisan craftsmen are fanciful unless you're in the market for a Morgan. Engineers play ever diminishing roles these days and in many cases answer to the marketing dept. who in turn answer to accountants. Advertising creates brand attributes which are rarely borne out by user experience. If in any doubt just read the letters to Honest John...! THIS IS INDEED THE REAL WORLD TODAY! No Hyundai. Interesting. Vauxhall's extended list is not surprising. Beats me why anyone buys this make. I'd be well peeved buying an overpriced German car, only to have all these problems. They feature regularly in recalls. No Dacia either. made by Renault / Nissan partnership in Romania. Note the number of steering wheel airbag related recalls on older models. These must be related to the well publicised USA recalls concerning shrapnel-firing airbags. Shrapnel-firing airbags? sounds like a variant of the spike on the steering wheel as an accident preventing device! It's easy to pick up on air bags which have been responsible for broken necks and other injuries in low speed crashes..what happened to the safety tests? The fact is people have been buying poorly built cars for decades such as the Lancia and Fiat ranges that rotted out in front of your very eyes..Ford Anglia springs through the boot to name a few. There is a new car ad on the TV every day..and folk who can afford it or not want the latest model so there is extreme pressure on all manufactures to churn out model after model..and let the buyer have the hassle and frustration of design faults. There was a time when a new model came out some people would wait a couple of years before buying just to see what faults showed up. How many Friday night cars from Ford and Vauxhall..VW also produced rubbish cars, rusty beetles, smokey engine golf's..and early passat's..Renault Espace diesel..the list is endless. Ask vauxhall why they put the clutch slave cylinder inside the housing on Astra and Vectra..stupid design. Airbags who cares if the rest will fall apart around you.. It is good to note that our largest UK based vehicle manufacturer is not on the list, their quality just gets better. Jaguar Land Rover seem to have got it right at last! Kia not on the list either. I just bought one & am very impressed, both by the car as well as the quality of the dealer's staff. Really keen to make sure I'm happy with the car. At one time most Vauxhalls had components made in England and assembled in Luton. Some were built to a very high standard by Opel in Belgium with Vauxhall badges on them. All of these vehicle were easy to maintain. All my own vehicles were. 1952 Vauxhall Wyvern bench seat and column change you could count the firing order when it was ticking over. 1962 Vauxhall Victor FB easiest car in the world to drive and brilliant MPG. Vauxhall Carlton 2200 Fuel injection auto like sitting in a mobile living room. Vauxhall Cavalier with a Izuzu diesel I am sure it run on fresh air. Vauxhall Astra 1.7cdti estate 07 plate lovely car and efficient, brake discs like new 80,000 miles should have kept it. Sad to say after lifetime of Vauxhalls I now have a 2013 zafira B which was bought on the understanding that it was not a model that was on recall. I always wanted a zafira but failed with this one. The company I bought it from blamed Vauxhall for not letting them know and I bet I have lost £1000`s but worse things happen. I should have taken them on but al the staff where I got it were so nice and upset as to what had happened. What made it worse was my wife who is severely disabled had asked all the questions about this vehicle but she still likes it.